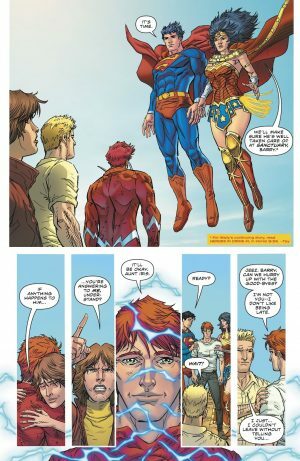 Welcome to the column where I talk about how they are ruining my second favorite DC character: Wally West. I thought I would write this in the form of a letter to DC Comics. I am writing in to talk about the abysmal way that you have treated one of comic’s best superheroes. Wally West; the Flash no matter how much you try to erase that. First things first, I don’t hate Barry Allen. I got into the Flash via Barry Allen in comic book shows. I just have an issue with the fact that you are making him better and worse at the same time. Barry hasn’t been given the opportunity to deal with the mess he created via Flashpoint. Also, the idea that Barry wants to become the fastest man alive, when his own protégé is the one who is faster, is seriously stupid. Now let’s talk Wally West (the older ginger haired one). The Flash for 23 years and undoubtedly the best Flash if you ask me. 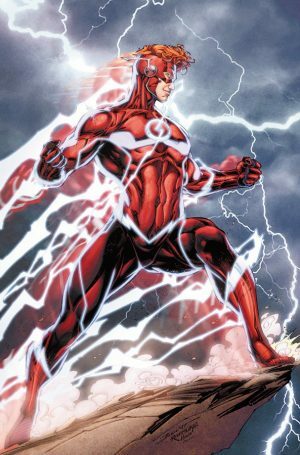 DC Comics first erased him from prominence by having Barry come back and be the main Flash; a big mistake if you ask me, but hey Wally was still around. 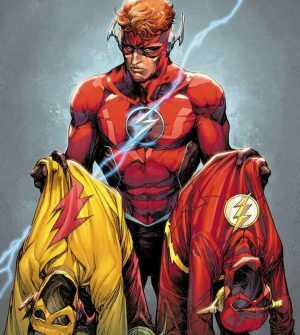 Then with the New 52, DC effectively killed Wally West by erasing him and his entire immediate family (wife and kids) by having Barry as the main, de-aged and only Flash. Then DC tried to replace him with a younger, diverse take which was bad for all the good reasons. Then with Rebirth looming, DC seemed to be learning. The older Wally came back in the biggest way possible and the quietest way too. We had him back, awesome. The titans are back, awesome. Everything was good. 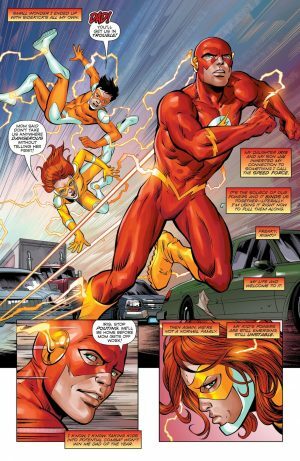 The older Wally West Flash would co-exist alongside the younger Wally West Kid Flash. Then you killed the older Wally again and again and again and again; he died 3 times in one 20 issue series, and got a fricking heart condition, seriously? 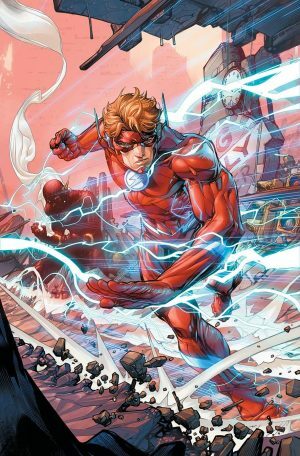 Then you put him in Flash War which was pretty good and seemed to be the first step to bringing his family back, but Bart Allen Impulse returned and Wally West Flash went to the Sanctuary for mental health treatment and rehab. Then we thought oh, Wally is getting help, and we are gonna see him again soon, but we got Wally West Flash dead front and centre in the first issue with fellow Titan Roy Harper Arsenal. What the hell are you thinking? He might come back sooner or later, but that isn’t the point. The point is you have made him into a goddamn plot device who is used for sales upping in the Flash titles; he isn’t that. He is a great hero who deserves to be one among the best of the DC Universe. 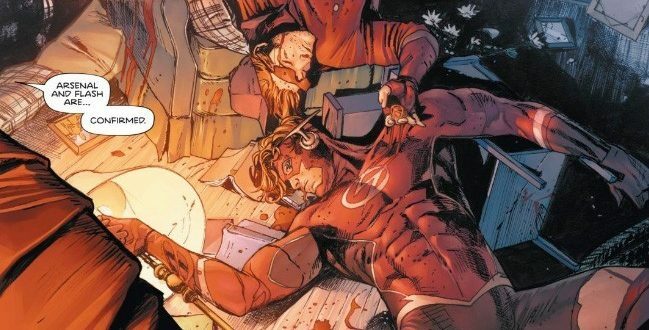 Wally West is one of the most beloved DC heroes and we know Barry Allen is popular due to the CW TV show, but that doesn’t mean that you can brush off the guy like that. Just give him the respect and the family he needs and I may be overreacting, but I just hate seeing my fave character being treated so badly and I don’t believe what you are doing now is for a big story purpose. At this point, I just want him back again. We don’t even want wally to be the main Flash, let Barry have that since you care for him so much, but just give Wally a solo title and let us enjoy that, will ya? A great DC fan who is angry!